The PLCD measurement system differs completely from all existing systems, the big difference being that it does not require any civil engineering or masonry work. In most cases, existing ballast can be preserved. 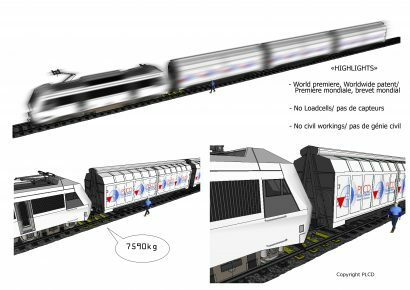 Our process (international patent) is to transform a small section of the railway (1200 mm.) into a weight sensor. For each axle traversing the weighing zone, the deformation of the neutral fiber of the rail is taken into account and then analyzed in a weighing electronics at a very high conversion speed. 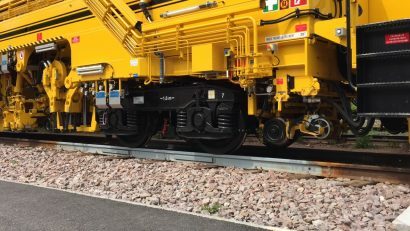 This system makes it possible to measure the load on each axle and then to define the total weight of a wagon: all the measurements being carried out dynamically (train in motion).